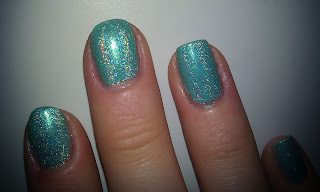 Let There Be Lacquer: Layering with For Audrey and Glitter! 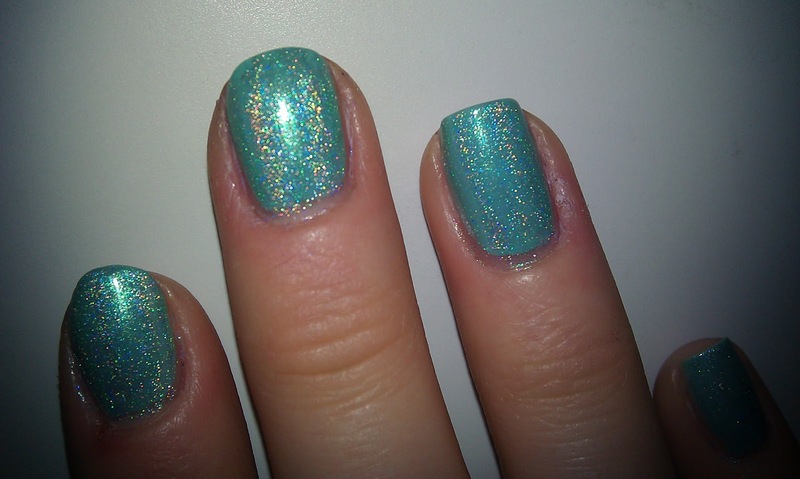 So all day I was thinking that I needed 'a whole glitter mess on my nails'..so I decided I needed to take many glitters I had and put them on top of a color that I haven't used in a while. I went through my polishes and For Audrey stood out to me as a good base. 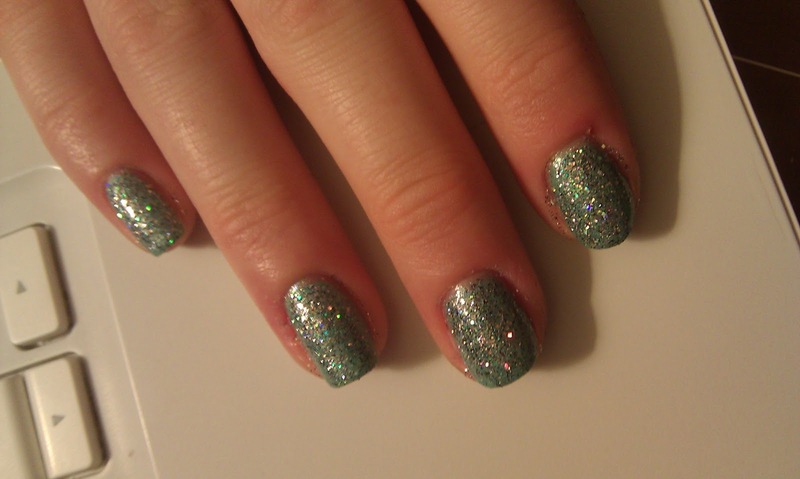 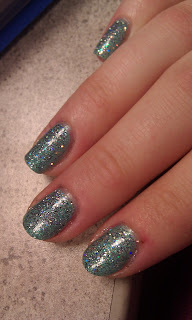 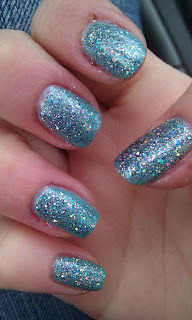 I wanted it to be super sparkly so I layered OPI Blue Moon Lagoon over China Glaze For Audrey. I then layered multiple glitter polishes on top of this base to create the finished look. 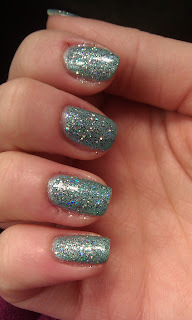 I actually wore this mani for 2 full days, which is rare these days! I loved the sparkle!